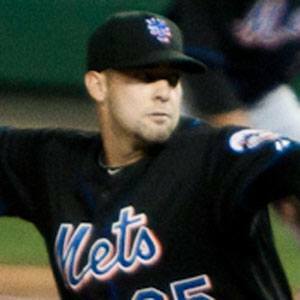 MLB pitcher who began his career with the New York Mets in 2010. While a student at Cleburne High School, he was praised for pitching two amazing no-hitter games and subsequently winning the Most Valuable Player award. While a student at the University of Texas at Arlington, he ranked 2nd on the school's career list with 298.1 innings pitched. He was born in Cleburne, Texas. He joined David Wright on the New York Mets in 2010.